I will be teaching the UT Informal Class, “The Classical Guitar: Its Music, History, and Culture,” again this March and April! The class will meet once a week for four weeks and cover the history of guitar making, the stylistic characteristics of different eras of guitar music from 1600 to the present, and the current exponential growth in classical guitar events and education. Last year, I brought in a renaissance lute and my cedar and spruce topped guitars to show the class, and I plan to do the same this year. I will also perform pieces during the class to demonstrate the stylistic characteristics of music from different eras of history. The students last year had many questions about the classical guitar and its music, and I enjoyed answering and exploring those questions. We also attended a concert by French virtuoso Judicael Perroy at the Cactus Café and discussed this concert at the following class. Below is a link to the class listing on UT Informal Classes’ website. I’d love to share my working knowledge of the classical guitar with you this spring! I will be traveling to Louisville, Kentucky tomorrow to take part in the Guitar Foundation of America’s International Convention and Competition. For the competition part, I will be competing in their International Concert Artists Competition which is the most prestigious classical guitar competition in the world. For the first round of the competition, I have had to prepare a piece newly composed for the competition, Aria by William Bolcom which I received just under two months ago, and ten minutes of free choice repertoire, my choices being Etude No. 6 by Giulio Regondi and the first movement of Sonata Giocosa by Joaquin Rodrigo. Tomorrow I will take part in a drawing to decide what time I will perform in the first round of the competition. For the convention part, I will be performing with the UT Guitar Quartet in the Ensemble Showcase which features some of the best high school and university ensembles in the country. We will be playing on Thursday around noon, and our program will be Percuson by Gerardo Tamez, my arrangement of the first movement of Mozart’s Symphony No. 35, and Baiao de Gude by Paulo Bellinati. There will be three concerts a day to attend and luthiers (guitar makers), vendors, and composers to talk to and try out their wares. It will be a big week of guitar, and I’m looking forward to it! I’ll keep you all posted. The performance today will actually be $10 at the door – sorry for the mistake in the previous post! 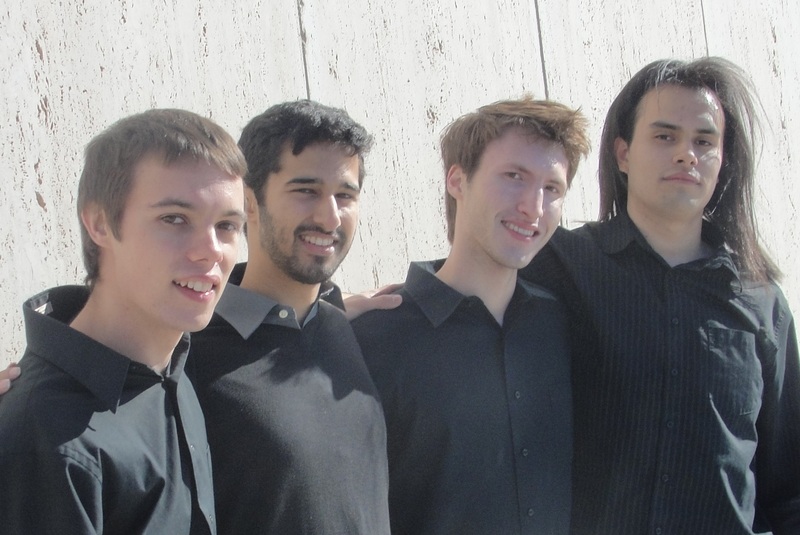 The UT Guitar Quartet will be performing tomorrow at the Texas Classical Guitar Camp! We just found out about this performance, otherwise I would have posted sooner. Our performance is free and will precede a performance by our friend and great guitarist Steve Kostelnik! If you’re interested in seeing both great music and great theater, I will be performing before Penfold Theatre’s production of Shipwrecked! this Thursday, June 6th. I will be joined by one or two fellow members of the UT Guitar Quartet, and we will begin playing around 7pm. The play is free and will begin at 8pm. Location and other details can be found here: http://www.penfoldtheatre.org/about/13season/shipwrecked. I hope to see you there! I realize that I have not posted anything here for a long time. Over the past two semesters, I have gotten increasingly involved with the UT Guitar Quartet. We’ve been playing lots of concerts in the community both on our own initiative and in collaboration with the UT Butler School of Music’s outreach program. Our community concerts involve more than just playing music. We always talk with our audience about the music and what it’s like to play in a guitar quartet. Last week, we won first place in the collegiate quartet division at the Hill Country International Guitar Ensemble Festival and Competition held in San Marcos, Texas. Earlier this year, we were also selected to perform at the Guitar Foundation of America’s International Convention. The convention will take place in June in Louisville, Kentucky. We will be performing as part of the ensemble showcase which features the best K-12 and university ensembles in the country. Among the pieces we will play for this concert will be a transcription I made of a Mozart symphony (No. 35, K. 385) for guitar quartet! If you’re interested in seeing us perform, we’ll be playing two concerts this coming week. The first is at the Longhorn Undergraduate Research Bazaar on Wednesday the 17th from 11am to 1pm in the Gregory Gym arena on the UT campus. The second is at the Austin Classical Guitar Society’s Guitars Galore ensemble festival on Saturday the 20th at 3:10pm at Northwest Hills United Methodist Church. Please let me know if you have any questions about attending either of these performances. From left to right are myself, Stephen Krishnan, Kyle Comer, and Carlos Martinez. Playing with the quartet has been a blast, and I’m hoping we continue to do great things! I will be performing a free 30 minute concert at Central Presbyterian Church in downtown Austin at noon on Thursday, October 11th! I’m planning to play the Prelude to La Catedral by Agustin Barrios followed by Sonata in A minor BWV 1003 by J.S. Bach. I hope to see you there! I will be performing a benefit concert for Expand Casa Hogar on Friday, September 7th at 7pm at First United Methodist Church in downtown Austin. Please check out Expand Casa Hogar’s website to see what they are doing for children in Oaxaca, Mexico. Please let me know if you have any questions about the performance, and I hope to see you there! The finger which I injured in March of this year is healed! See post below. It actually has been healed for a while, a little over a month, but I figured I’d make this post so that there wouldn’t be any doubts. That’s all folks!